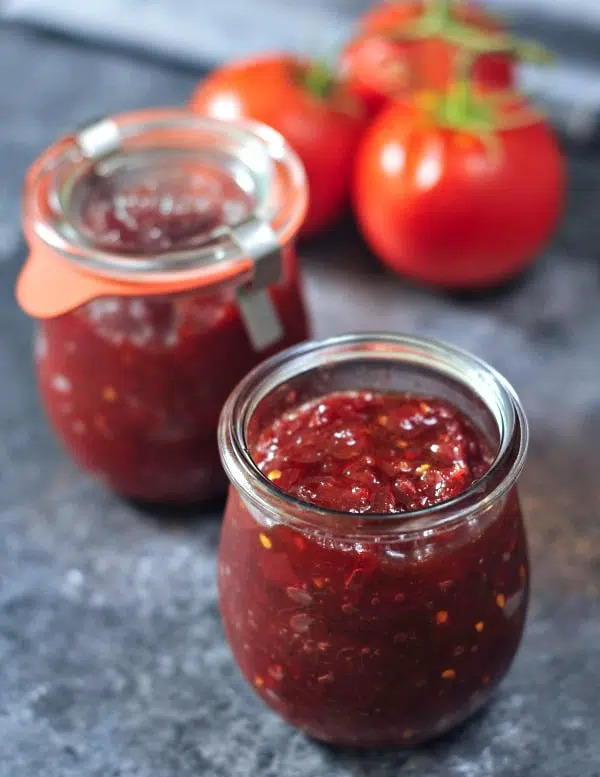 this Easy Tomato Refrigerator Jam is a quick and easy effort for some flavor packed summertime goodness! another way to enjoy fresh garden tomatoes. There really is no comparison to a fresh tomato picked from the vine. Standing in the middle of my garden, biting into that warm juicy flavor. This year, I have two in my garden – Roma and Celebrity. Both are great to slice thick and put in a sandwich, on toast, just on a fork with salt. 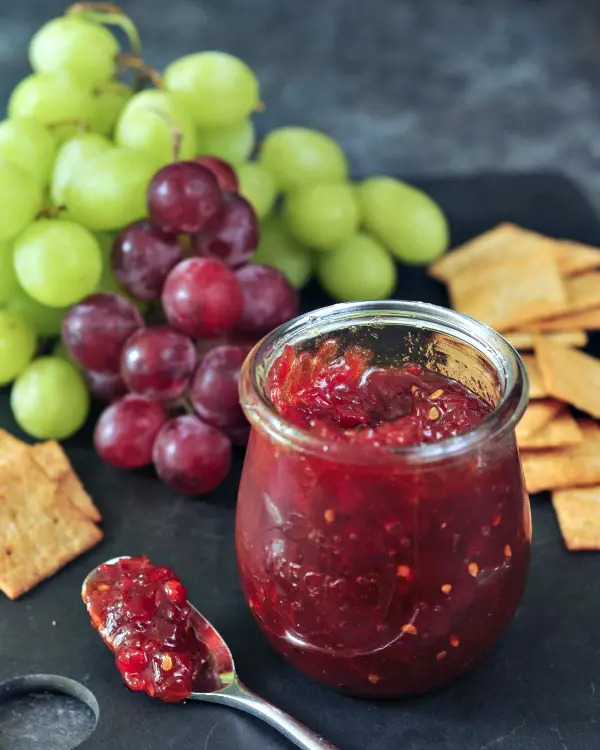 I have used each variety in separate batches of this jam – both taste great.